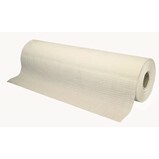 Our range of paper products include toilet paper & hand towels for commercial bathrooms, lunch & dinner napkins for restaurants and cafes, wiper on a roll for chiropractic beds and facial tissues for the office. The ABC range of commercial toilet paper has something to suit everyone's needs. 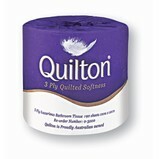 From the luxurious 3 ply Quilton paper through to the competitively priced Desire for the more budget focused. 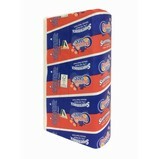 We stock individually wrapped rolls, 4 packs, interleaved toilet tissue, mini jumbo and jumbo rolls. Our Australian made 100% post consumer recycled EarthCare range is the best choice for anyone looking for a sustainable option. Our range of paper hand towels is extensive with sizes and styles to suit most dispensers available on the market. ABC also have a range of dispensers which will accompany your hand towel perfectly. 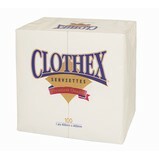 Choose from 1ply, 2ply, sheets or roll towel. There is an option for the budget focused right through to the most luxurious with the majority being Australian made and all sustainably sourced. Experience pure luxury on your face with the soft Ultra range of facial tissues which come in 2 sizes to ensure the box takes up minimal space on your desk. For your convenience while out and about try the pocket tissues. Available in a standard or Aloe Vera & vitamin E range. The industrial range includes the heavy duty wiper on a roll which is ideal for cleaning up spills where strength is needed in the paper. Mechanical workshops can conviently access and clean any oil spill.